Magical Mayhem! – Libraries Rock! Magic, Music, High Energy! “I would like to take this opportunity to “Thank You” on behalf of the first grade children at Wyomissing Hills Elementary Center. Your wonderful magic show was the highlight of the day for the children. Below are more resources for Eddy Ray. You’ll find sites specializing in his magic shows, blogs, his secret magic club and more! He regularly performs in Lancaster and the greater Harrisburg area , also please be sure to visit this site for full reviews and testimonials, Pennsylvania Magicians Reviewed . 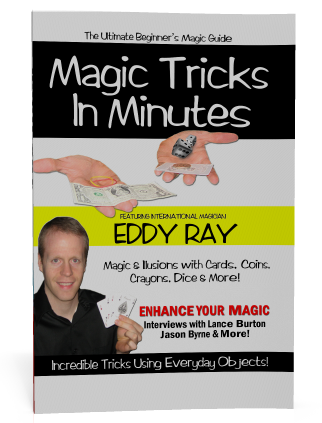 You will also find Eddy Ray on his main family magic website here Pennsylvania’s Busiest Magician . If you are in York County or surrounding areas visit York PA . If you are looking for a birthday magic show and want some great party tips visit Birthday Party Magic Shows and Eddy’s certified magician roster at Certified Magic Professionals . Check out his magical blog here Eddy Ray Blog .